This might be a new idea for map and adventure makers. Provide one map for the DM with room numbers, secret doors, traps, etc. plainly marked out. Another map for players with that info removed and that is ready to put up on a virtual tabletop like Roll20. I did this for Greg Gillespie’s Barrowmaze. It took me awhile with Gimp to eliminate all the secret stuff, and then I put all that info back onto the map, but on the GM layer, so that I could reveal it when needed. It’s a lot of work, but a designer could make it easier by providing the base Player Map. Interesting thoughts. Thanks for sharing. I completely agree. I’m always so pleased and surprised when a module actually comes with a “player-only” map. I wish every single one did. I’ve also utilized the “Fog of War” effect online, by simply blotting out unexplored portions in black with MS Paint. It’s crude, but it works. I’ve always considered doing the same for live games using black construction paper, but I’ve never actually summoned the energy. 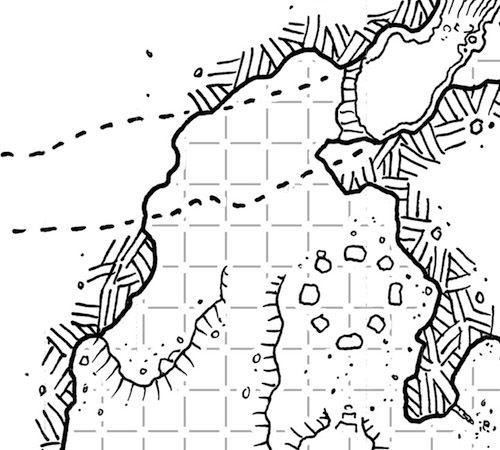 Hexographer lets you do a Gm and player version of the same map. If you remember to toggle “Gm only” when needed (I never do). As far as player maps go, I’ve only ever experienced the player-made map and the DM-made map prop. I’ve never had a DM provide the players with a copy of a map that they didn’t find in-game. I’m still not sure of how any map that the players didn’t find or make themselves wouldn’t be showing information that players shouldn’t know. I mean, after all, if they have a map then exploration loses much of its importance. Perhaps I’m just not understanding the purpose of the map? When you’re using the fog of war capability on a virtual tabletop, the DM can reveal the map as characters explore. Angry Monk pretty much has it. I would add that it is not difficult to do in-person partial map reveals as well. Just copy/print the map out, removing anything extraneous on the module page, and use a few index cards to cover the areas that have not been revealed or are not currently seen. To do this without revealing hidden information though requires that there not be annotations such as secret doors or the under/over notation used by Dyson. I’ve mentioned to Dyson that having a VTT friendly format for some features would be great. I’d particularly like to see a secret-door format that only showed the S on the side that the door was visible from. 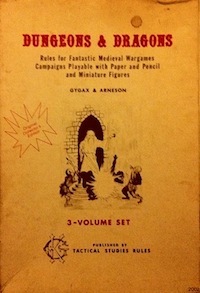 I am running the Caverns of Thracia as translated from both the 1979 Judges Guild and the 2004 Necromancer Games versions. In addition to translating it to Dungeon Crawl Classics, I have spend an inordinate amount of time making player maps for the game. There’re maps PCs can find in game that show parts of the dungeon but such maps were not provided in either edition. There’s other places where a bit of in game scouting provides an overhead view of a large portion of the dungeon. Again, you’ve got to draw that up yourself either beforehand or take up some significant table time to that end. One of the best dungeons ever created but not an easy one on a GM.